Coralle Adelheid Z is a full sister of the licensed AES stallion Chapot Adelheid Z. Sire Chardonnay Z is a son of the mare Rinnetou Z on which Piet Raymakers twice jumped the World Cup Finals. 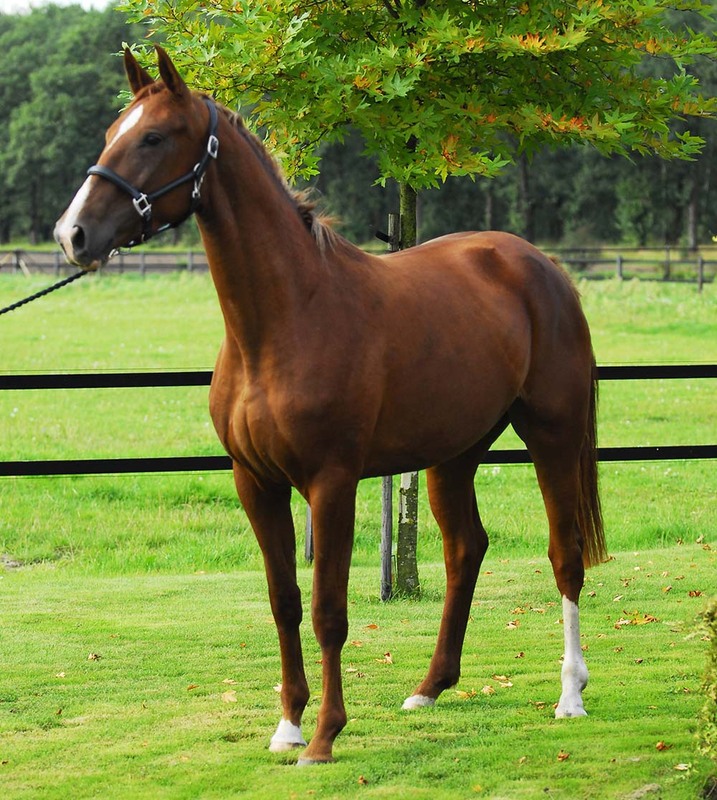 Dam’s sire Zalza jumped at international level under Nick Skelton. In addition Zalza is bred out of the same dam as Rinnetou Z which makes that the mare Wencke Z is doubled in the pedigree of Coralle. 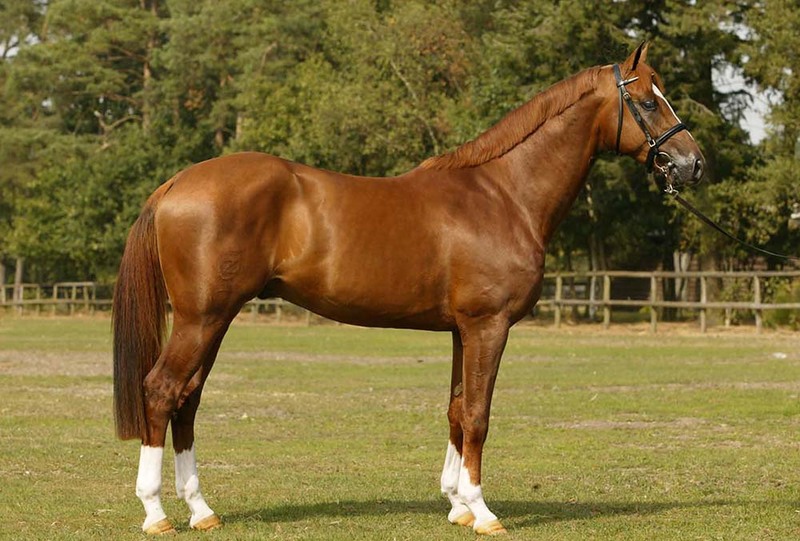 Wencke Z was an exceptional breeding mare that combined with three different stallions produced four international showjumping horses. Coralle’s dam Zafira is a full sister of the stallion Zucchero Adelheid Z. Great-grandam Goldine Z is also dam of the stallion Aerobic Z (Almé Z) which under Harold Chopping started in the World Cup Finals.